GPS tracking technology may have started out as a way to generate turn-by-turn directions between any two points, but the days where they’re ONLY limited to this functionality are long gone. Many businesses now regularly use GPS devices for the purposes of fleet management, for example, generating an almost unprecedented level of visibility into their entire organization that they wouldn’t have had access to just a few years prior. Likewise, thanks to the fact that smartphones and other mobile devices have become so powerful, GPS tracking apps are actually more popular than ever. In fact, there are a few key ways that GPS tracking apps can be used that EVERYONE should know about moving forward. 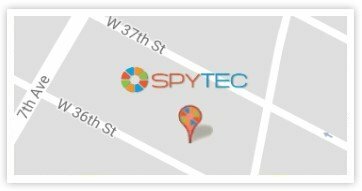 One of the reasons that GPS tracking apps tend to be so useful – and unique – has to do with the many different ways that you can make use of the information they provide. Remember that the vast majority of all modern-day smartphone devices have a GPS chip built inside. Not only is this what makes the “Maps” app so valuable, but it also helps you to locate (and potentially disable) your device in the event that it is lost or stolen. But again – this is only one small part of a much larger story. Because the implications of knowing a device’s location down to a range of just a couple of feet are so large, GPS apps available in the iTunes and Google Play app stores usually take a more surveillance-based approach. Not only do they allow you to instantly read the information from a device’s GPS chip from a remote location, but, depending on the features contained in the app itself, they can also allow you to contextualize that information in a wide range of different ways. If you were an employer who was trying to keep your essential business secrets safe from a potential leak, for example, you might require your employees to download an application that tracks and logs all of their physical movements. If they were ever to take a meeting at a competitor’s place of business, not only would you know about it, but the app would probably alert you instantly by way of a push notification. Along the same lines, many GPS tracking apps are actually marketed to people who may suspect their spouse of infidelity. If you were to secretly download an app onto your spouse’s phone, you could see where they’re going – and potentially who they’re with. But many GPS tracking apps are actually marketed with a much more noble approach: They’re aimed at helping parents keep their kids safe at all times. Parenting in the modern era is always something of a tightrope act. You always want to give a child the breathing room they need to be independent and make their own decisions, but you also need to know as a parent that you’re doing everything you can to keep them safe from harm. A lot of GPS tracking apps for smartphones and tablets allow parents to accomplish both of these at the same time by inconspicuously tracking children’s whereabouts or even how fast they’re moving (which can be helpful if you want to instill positive driving habits, too). If your child missed their curfew, you don’t necessarily have to frantically call them and make them feel like the walls are closing in. You can use an app to see exactly where they are and determine if they need help or if they’re just out with their friends and lost track of time. These are just a few of the many, many ways that GPS tracking apps can be used in the modern era. As you can see, things tend to go far beyond turn-by-turn directions these days. As smartphones (and their included GPS chips) become more powerful as time goes on, it’s interesting to think about how far this technology will continue to advance over the course of the next few years and beyond.